Danny has a violent streak, frequently pounding on his younger brother for pounding on another brother. His single father has struggled with containing Danny ever since the boy's mother passed away. After Danny steals a motor cycle (which he claims he borrowed), the judge gives him the option to go to juvenile detention or join the army. 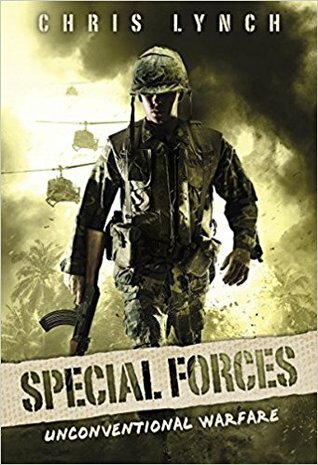 When he chooses the army, Danny ends up in a unit with his high school wrestling coach, Colonel Macias, who was instrumental in getting the sentence. Sent to Vietnam, Danny ends up in a Studies and Observation Group that does dangerous, covert jobs. A budding photographer, Danny often has a camera with him, but it often gets him into trouble. One example: his unit is watching a group of women working in a field, and he is taking pictures of them. Unfortunately, there is a sniper hiding behind the women that he does not see, and when the sniper opens fire, Danny's unit ends up brutally slaughtering the entire work contingent. As one interchange with another soldier, Lopez explains, being in Vietnam is brutal. (Page 88: "We're here to kill, Bug. Don't forget that." "We're not here to kill innocents," I say. "We're here to kill everything," he says coldly.) After surviving the loss of many of his unit, Danny is injured and returns home. I am hoping that subsequent volumes deal with his reentry into society. Strengths: Lynch does a fantastic war book, and his World War II and Vietnam series are very popular with my students. This book is a great length, and has the sort of fast-paced action that my students enjoy. Weaknesses: Danny is a very violent young man, and his unit has men in it who are even more violent. What I really think: I am waiting to purchase to see what the trajectory of this series is. Danny is very violent, and unlike other Lynch books, this violence is not tempered with how horrible war is. Perhaps I am overly influenced by a recent conversation I had with a neighbor and former coworker who fought in Vietnam; he was only recently diagnosed with PTSD. If Danny has trouble returning home, this volume will make more sense, but as a stand alone it is surprisingly disturbing and unlike Lynch's other fantastic works. I would DEFINTELY purchase this for high school.